Catalyst activity and performance are the most important factors for selecting a catalyst in different processes. The Fischer-Tropsch synthesis is a very important synthesis that extensive action has been taken place to increase the activity of its catalysts in the recent century. Deactivation of the catalysts of the process is influenced by many factors, among which coking and sintering have come to be considered as key causes of the catalysts deactivation over time. 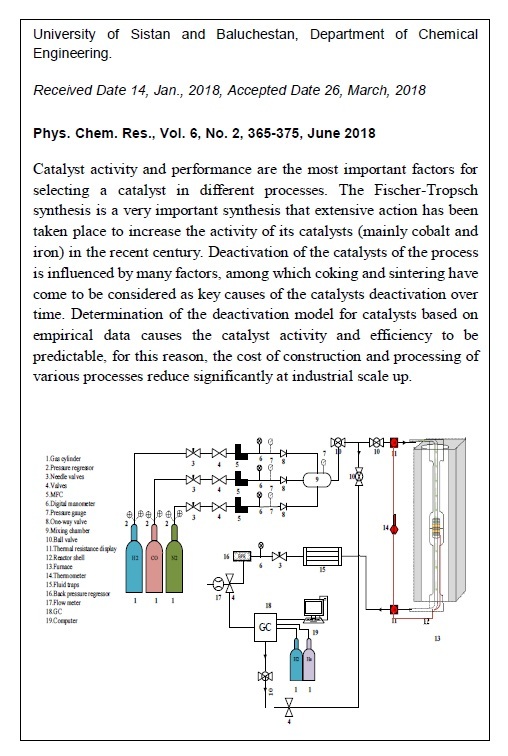 Determination of the deactivation model for catalysts based on empirical data causes the catalyst activity and efficiency to be predictable, for this reason, the cost of construction and processing of various processes reduce significantly at industrial scale up. An Fe-K/Al2O3 catalyst was prepared by using an impregnation method in this research. Experimental data were measured in a fixed-bed tube reactor under low operating pressure (0.2 MPa) and high temperature (310 0C). By comparing the experimental data (in this study), with different models of deactivation, was obtained the best model for the deactivation of Fe-K/Al2O3 catalyst that amounts of kd, aeq and m are 0.425, 0.459 and 1, respectively. 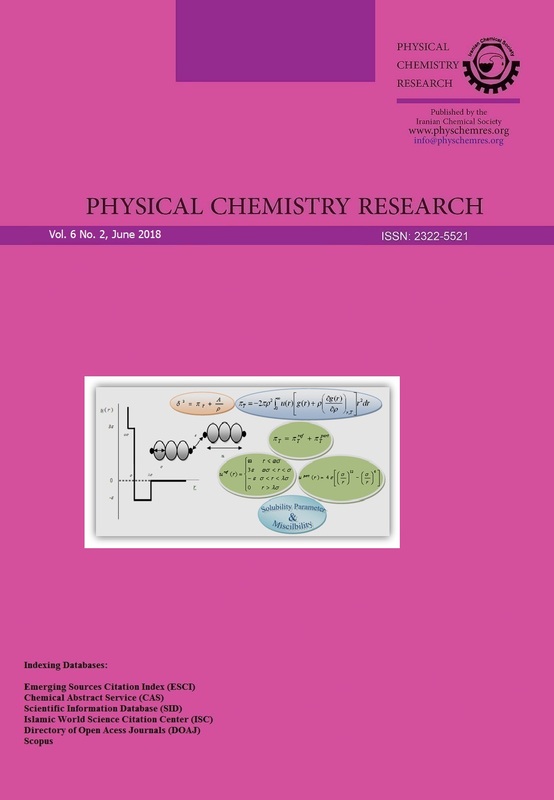 Then, the experimental data obtained from this study were evaluated with data of other references to evaluate the effectiveness of potassium promoter and alumina support on the parameters of the deactivation rate equation. It was found that to reduce the deactivation rate of iron catalyst in the presence of K promoter, it is better than the support of alumina is used at high operating pressures and low temperature.